Home » Football » Who suffers the most from long-term absences? With the second international break of the season already upon us, plenty of top-flight managers will be crossing their fingers their stars are returned to them unscathed. Some will be luckier than others, however, and we’ve crunched the data from the previous 10 seasons to see who is due a bit of good fortune. To compensate for the lack of reliable data around injuries – and to focus more on those affecting key players – we’ve looked at long-term absences only, defined as a player who started at least five league matches in a run of 10 before going missing from at least the next four consecutive matchday squads. Arsenal are the Premier League team most affected by long-term absences, with an average of over seven instances per season where a first-team player goes missing from four consecutive matchday squads. This has cost the Gunners around 68 spots in their line-ups over an average season, with Jack Wilshere the most regular absentee having missed around a third of their matches with a long-term complaint. By comparison, the two players to have featured for over 90% of possible minutes over the last 10 seasons both turn out for Bournemouth: Steve Cook is the Premier League’s Mr Reliable, closely followed by team-mate Charlie Daniels. Leighton Baines, of Everton, deserves an honourable mention for having clocked up an impressive 99 consecutive league starts at one point. Of the three teams who regularly challenge for the title, Real Madrid have had by far the worst luck, with an average of 6.5 long-term absences per season compared to just 4 for Barcelona and 2.2 for neighbours Atletico Madrid. 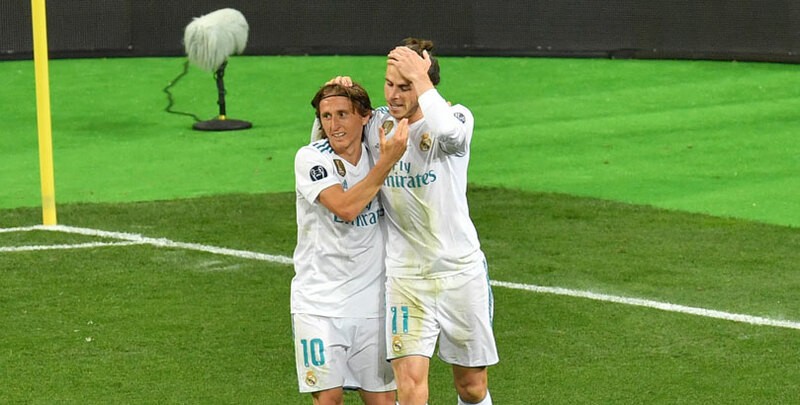 Real players dominate the list of biggest absentees, with ex-Tottenham stars Gareth Bale and Luka Modric having each missed around a quarter of Los Blancos’ La Liga fixtures since joining the club. When it comes to lengthy lay-offs then Villarreal can also claim to have been hard done by, with three of the longest spells of absence in the last decade affecting their players. At least some of the blame for Milan’s disappointing recent performances in Serie A can be apportioned to injuries, which have cost their stars far more playing time than anyone else’s. An average of 7.5 long-term absences to first-team regulars per season is far more the likes of Roma, Juventus or Inter, who have only had to contend with between four and five. The good news is they can count on their goalkeeper: the 106 consecutive league starts made by Gianluigi Donnarumma up to the end of last season was surpassed only by Sassuolo defender Francesco Acerbi, whose dependability has since earned him a move to Lazio. Most of Germany’s top clubs have had to contend with regular absences to their key players, with Bayern Munich, Dortmund and Schalke all among the four to have lost the most matches per season. All three should perhaps be scouting the medical staff over at rivals Leverkusen and Hoffenheim, who have had to contend with far fewer absences on average. The reigning champions have at least been able to put their faith in Robert Lewandowski, who hadn’t missed four consecutive Bundesliga squads in almost 14 days of cumulative action in a Bayern shirt up to the end of 2017/18. Part of PSG’s success can be attributed to how well they’ve managed to keep their star players on the pitch, with Caen the only Ligue 1 regulars to have lost fewer appearances to long-term absences. Saint-Étienne have had the worst luck of all, with Bordeaux and Montpellier joining them in having to find injury cover for more than 50 matches’ worth of talent per season. Goalkeeper Stephane Ruffier has been a rare source of stability for Les Verts, however, managing an impressive string of over 200 consecutive appearances only eclipsed by Steve Mandanda before he left Marseille for the Premier League.